The Living on the Edge project is raising awareness of large predators in Central Europe, and promoting the co-existence of humans, wildlife and wild nature. With a focus on producing captivating imagery and videos about large predators and wilderness in Central Europe, the Living on the Edge project is led by a team of passionate photographers, filmmakers, writers and designers. The team shares huge collective experience in communicating with mainstream audiences, using the power of storytelling to share their vision of nature and rewilding. They also collect personal experiences, stories and scientific information on these topics. With its large cities, modern infrastructure network and extensive areas under intensive agriculture, Europe seems an unlikely place for a large predator comeback. 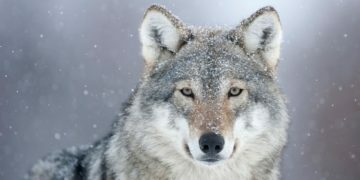 Despite this, a 2011 study commissioned by Rewilding Europe from the Zoological Society of London (and partners) found five European carnivore species – the brown bear, Eurasian lynx, wolverine, grey wolf and golden jackal – all expanding their range. In many areas of the continent, these animals are surviving and increasing outside protected areas. The Living on the Edge project came about due to the scarcity of brown bears, wolves and Eurasian lynx in Austria. By contrast, wolves are returning to Germany, there are thriving populations of brown bears in Slovenia, and Switzerland hosts a significant lynx population. The Living on the Edge project came about due to the scarcity of brown bears, wolves and Eurasian lynx in Austria. 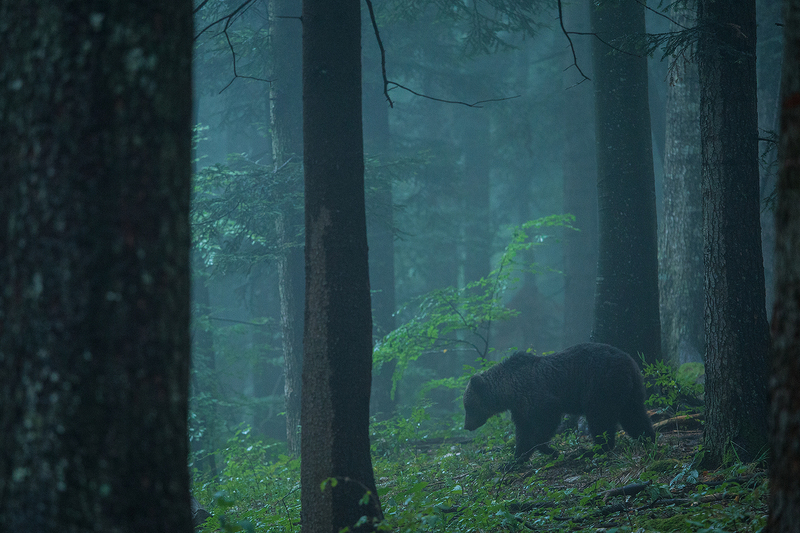 This inequality prompted the team to ask why some areas of Central Europe have healthy predator populations (and others don’t), and whether humans and large carnivores can actually co-exist across the densely populated region. These questions are being tackled through photography, film and interviews. Together with fellow ERN member SCOTLAND: The Big Picture, the Living on the Edge project will help other ERN members with advice on how best to communicate rewilding. Through gripping imagery and profound storytelling, and in collaboration with an array of academic institutions and conservation organisations, the Living on the Edge team are working hard to establish a deeper understanding and appreciation for large predators and wild nature. Their efforts will mean future generations can enjoy and are better prepared for a life side by side with such nature in the heart of Europe. Together with fellow ERN member SCOTLAND: The Big Picture, the Living on the Edge project will help other ERN members by sharing insight and expertise on how best to communicate rewilding-related topics and their own project work. Through a combination of conservation science and visual storytelling, both the Scottish and Austrian projects are working to generate fresh thinking and dialogue around the benefits of a wilder Europe. Rewilding Europe is part of a burgeoning pan-European rewilding movement which has seen many impressive and inspiring initiatives develop over recent years. With rewilding-related projects continuing to multiply and flourish across the continent, the objective of the ERN is to connect, support and strengthen them. The ERN has displayed impressive growth since its launch at the WILD10, the World Wilderness Congress in Salamanca in October 2013. It operates on a stronger together philosophy, promoting rewilding as a conservation approach. Members meet regularly – usually via webinar – to share knowledge, insight and examples of best practice.